The Delta Rural Access Program (DRAP) provides preventive services for individuals at-risk of developing chronic health conditions and increases access to prescription drugs for residents in the Delta region. Residents of the rural areas of western Alabama struggle to access health services due to high unemployment rates, lack of transportation, limited access to computers or the internet, inability to pay premiums, and inability to interpret health care information due to literacy issues. In 2014, in the 18-county Delta region of western Alabama, 15% of the population was uninsured. To address these barriers for communities in western Alabama, Tombigbee Healthcare Authority (THA) provides a wide spectrum of health care options for its residents, including community access to preventive care services and resources in a number of settings, such as schools, churches, community centers, homes, and other community outlets. Specifically, the Delta Rural Access Program (DRAP) provides preventive services for individuals at risk of developing chronic health conditions and increases access to prescription drugs for residents in the Delta region. DRAP activities include health insurance outreach and enrollment activities, diabetes prevention classes and case management, education campaigns, health screenings, and pharmacy assistance. The high poverty rates of residents and inaccessibility of health care providers in the Delta region lead to unmet health needs, particularly in terms of diabetes prevention and management among the African-American population. DRAP has implemented the National Diabetes Education Program (NDEP) curriculum, Power to Prevent: A Family Lifestyle Approach to Diabetes Prevention, to address the barriers to accessing preventive health care by targeting those at risk of developing diabetes. The Power to Prevent curriculum is composed of 12 sessions designed to prevent or delay the onset of Type 2 diabetes by promoting lifestyle changes, such as eating a lower calorie diet and increasing physical activity. 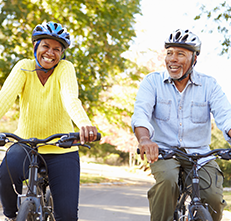 Between 2010 and 2013, after completing the Power to Prevent curriculum, nearly 300 adults had decreased their overall blood sugar by 15%, blood pressure by 28%, and cholesterol by 12%.7 In 2013 and 2014, 225 individuals completed the program, and preliminary evaluation results have shown healthy lifestyle changes. For example, there was a 43.0% decrease (from 46.7% to 26.4%) in the proportion of participants who indicated their level of physical activity was “none.” Additionally, the proportion of participants who said they currently eat healthily more than doubled (from 40.7% to 85.0%). The Power to Prevent curriculum offers an opportunity for at-risk patients to prevent or manage their diabetes, improving the overall health of the community. In addition to the diabetes prevention program, DRAP will continue to provide health insurance enrollment navigation assistance throughout the Delta region. In the upcoming year, the program will focus on churches as a venue for outreach, due to the high population of church attendees in the 18 Delta counties. Although this region of Alabama faces a number of challenges in terms of accessing health services, increasing the number of individuals with health insurance is seen as the first step to ensuring residents receive regular care. The mission of Tombigbee Healthcare Authority is to provide quality, cost-effective, and convenient healthcare services to residents of West Alabama.